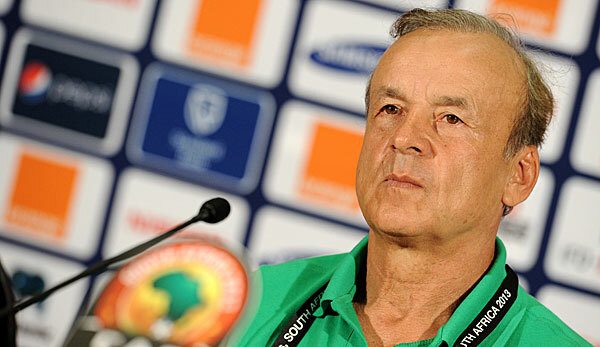 Super Eagles technical adviser, Genort Rohr has insisted that the Super Eagles players must show commitment and hunger if Nigeria must claim the sole ticket for the 2018 FIFA World Cup slated for Russia. Nigeria will face Algeria, Zambia and Cameroon in group B of their World Cup campaign, starting with an oepning encounter against Zambia in Lusaka on October. On Saturday, the Super Eagles laboured to a 1-0 win over the Taifa Stars of Tanzania in a dead rubber 2017 Africa Cup of Nations qualifier in Uyo. Having tasted victory in his debut match, Rohr has revealed that the Super Eagles players must be at their very best if the team must overcome the shock of not qualifying fro the 2017 Africa Cup of Nations. “We will need all our best players to be at their very best. We had a good list for the Tanzania match but a couple of players were injured and we will like to look at those ones as well,” Rohr told the NFF website.